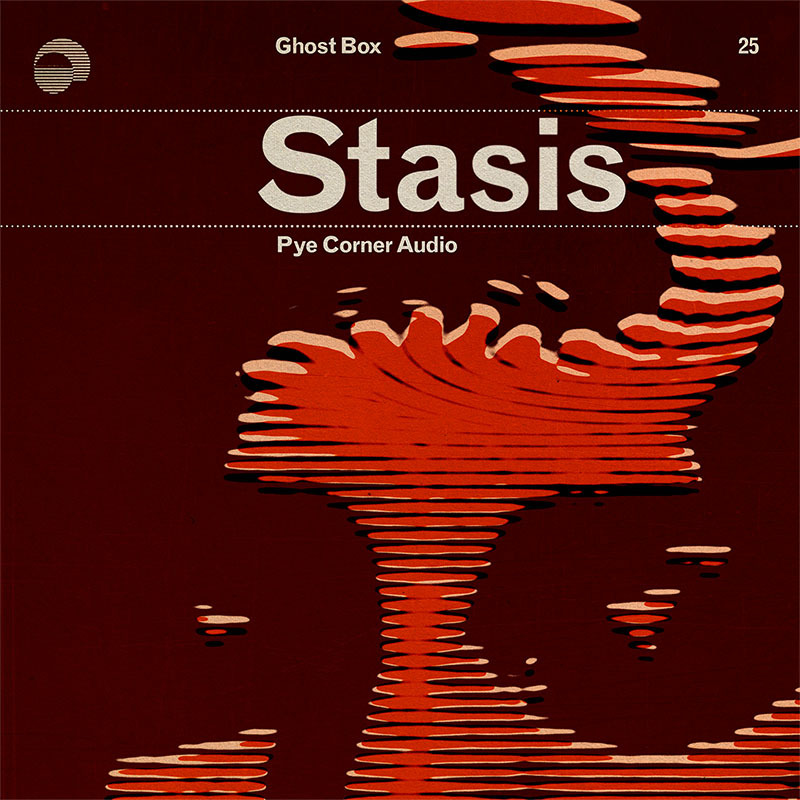 The final single in a series featuring regular Ghost Box artists, special guests and one-off projects. 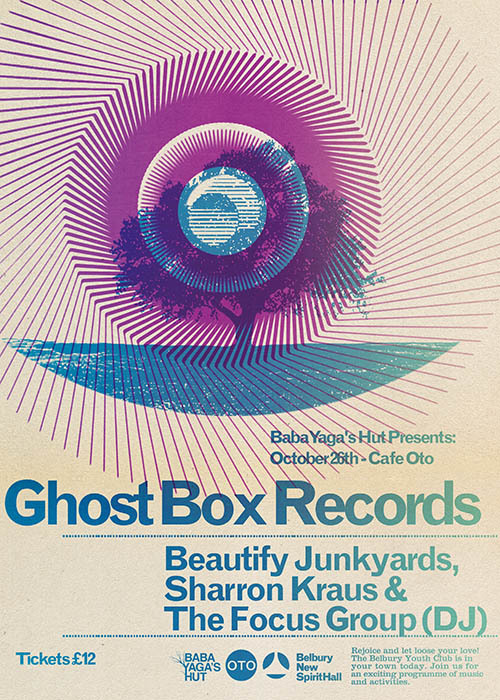 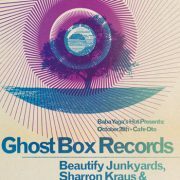 This time our guest artist is folk singer, Sharron Kraus with a remix by Belbury Poly on the B side. 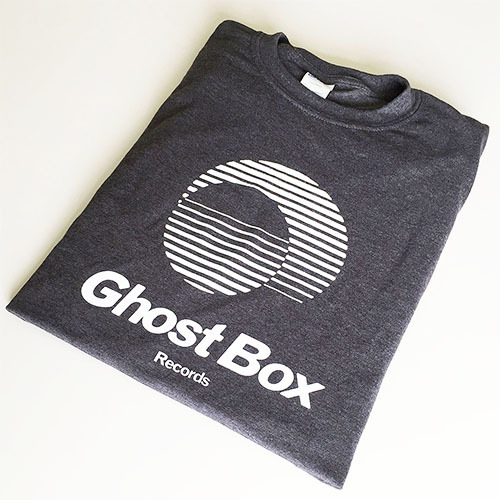 Pre-order at the Ghost Box shop now and due for on 21st September on download or heavyweight 7”, with sleeve design by Julian House. 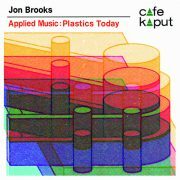 Jenny Bliss Bennett on Viola de Gamba & Fiddle, Nick Jonah Davis on Slide Guitar, Neal Heppleston on Bass, Oliver Parfitt on Synths, Nancy Wallace on Backing Vocals and Guy Whittaker on Drums. Available now, exclusively from the new Belbury Music Shop. 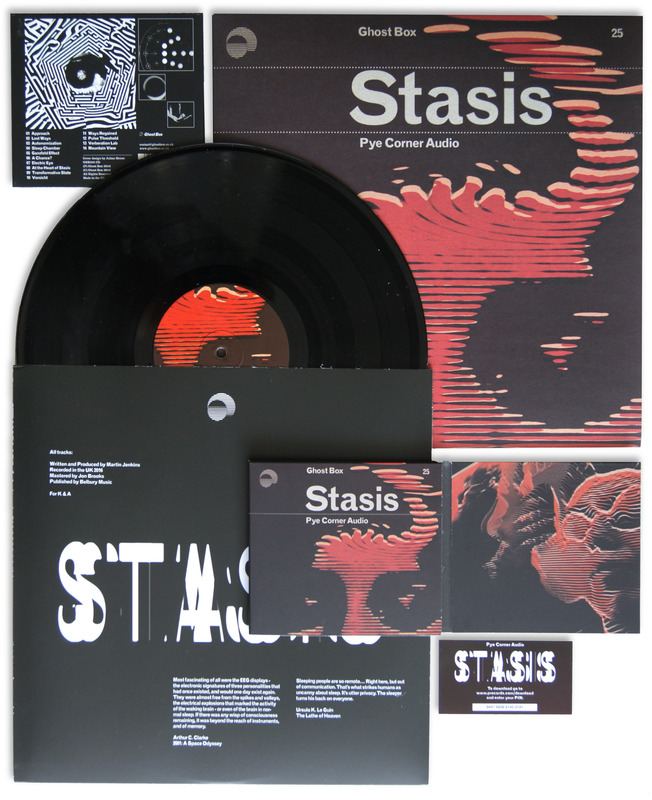 The first in a series of limited records made in association with Belbury Music and a variety of associated artists and labels. 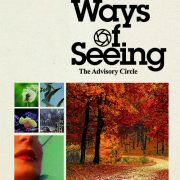 by The Advisory Circle out now. 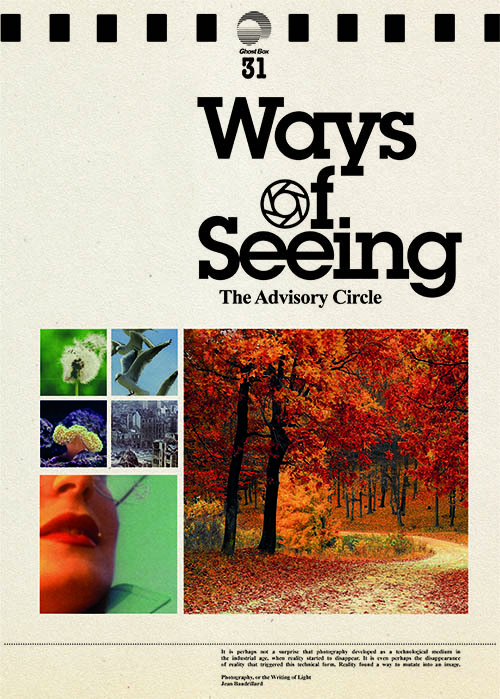 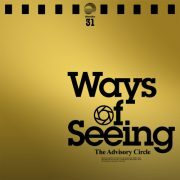 The new album from The Advisory Circle, Ways of Seeing is out now on LP, CD & DL. 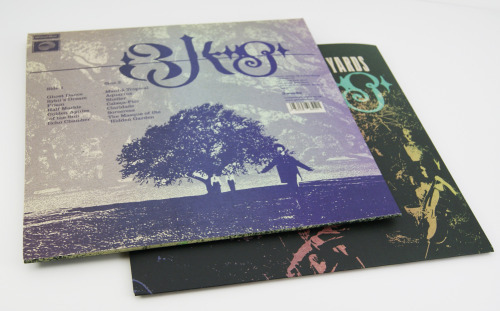 The CD & LP packaging is designed by Julian House. 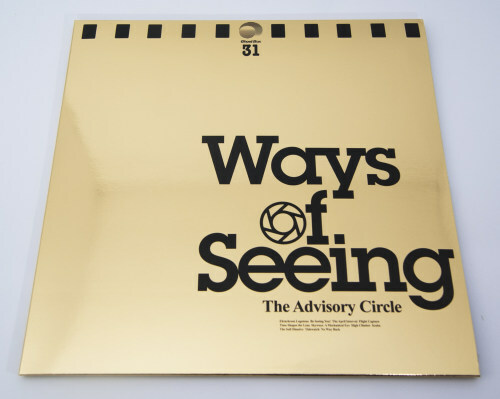 The elegantly simple artwork and typography, reminiscent of 80s photographic manuals and magazines, is rendered on metallic gold foil packaging. 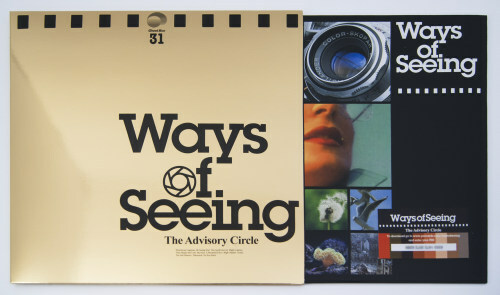 The heavyweight vinyl LP includes a free download card. 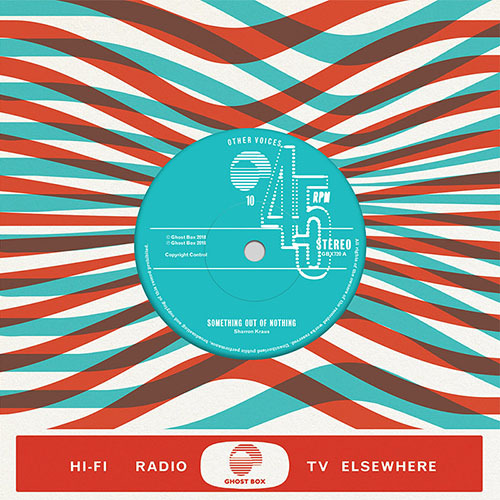 Two members of Friendly Fires make guest appearances; Ed Macfarlane on vocals on No Way Back, and Edd Gibson co-production on Scuba. 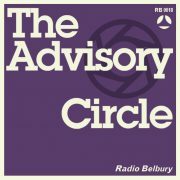 To celebrate the release of Ways of Seeing this week, Jon Brooks of The Advisory Circle hosts this melting, meditative mix for Radio Belbury. 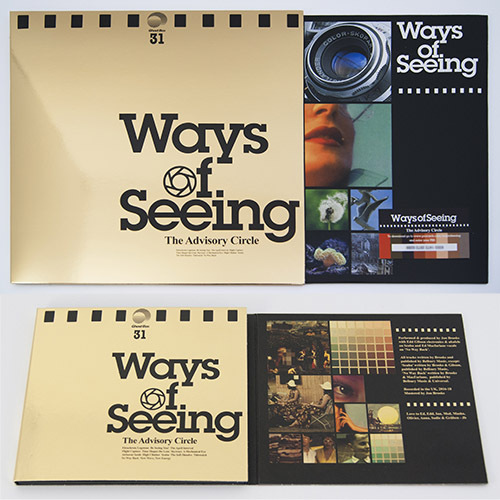 Ways of Seeing is available to pre-order now. 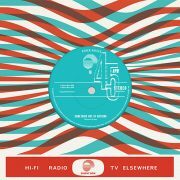 Released on Friday, 25th May on vinyl, CD and download. 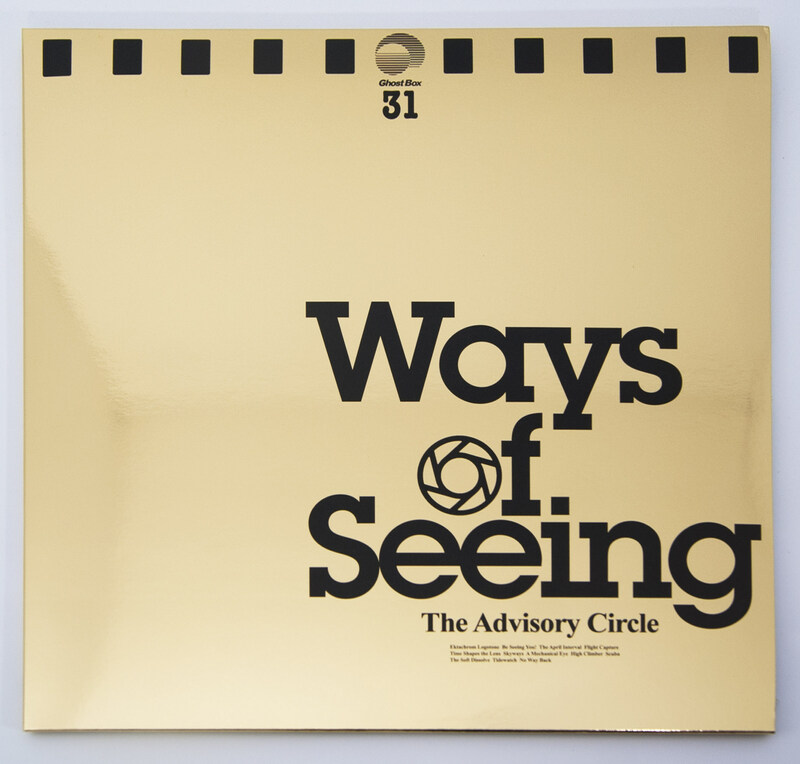 In luxurious gold foil packaging designed by Julian House. 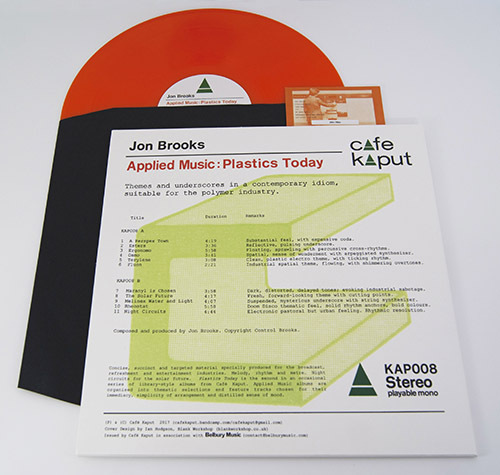 The LP comes with free download code card. 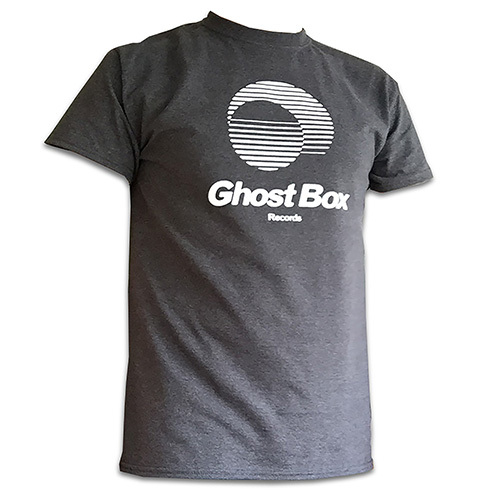 New Ghost Box T-Shirt, screen printed white logo on “tweed” grey in the Ghost Box shop now. 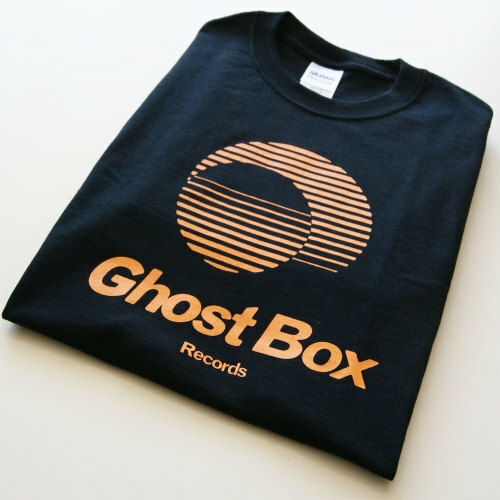 The Ghost Box black and Amber T-Shirts have also been re-stocked. 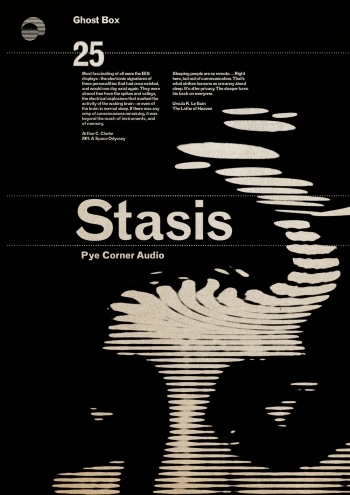 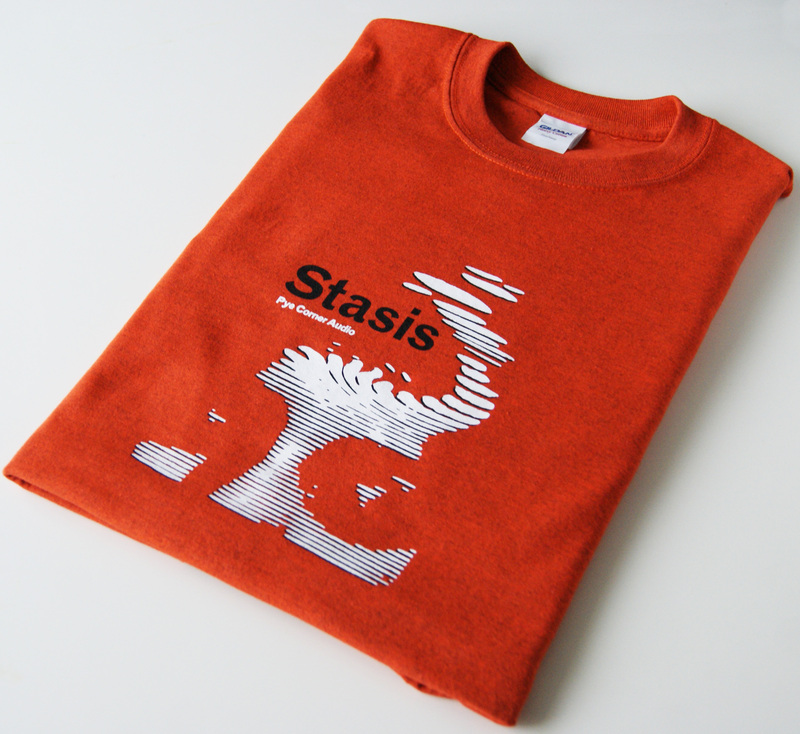 Stasis by Pye Corner Audio has been re-issued on LP and CD and is available now in the Ghost Box shop. 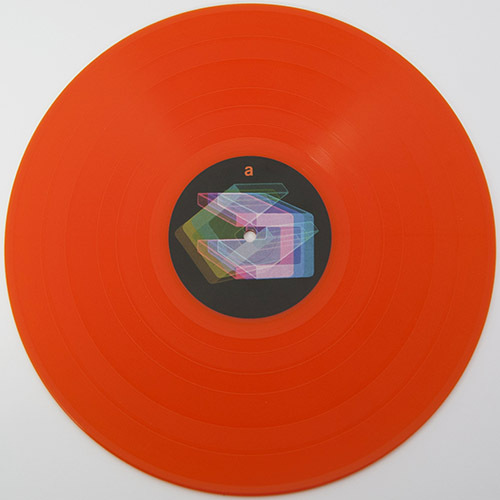 The heavyweight vinyl version includes a free Download code card. 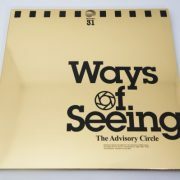 Pre-orders open today in the Ghost Box shop for the new Advisory Circle album, Ways of Seeing. 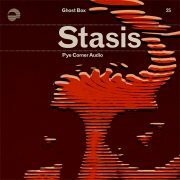 Due for release on 25th May on LP, CD and DL. 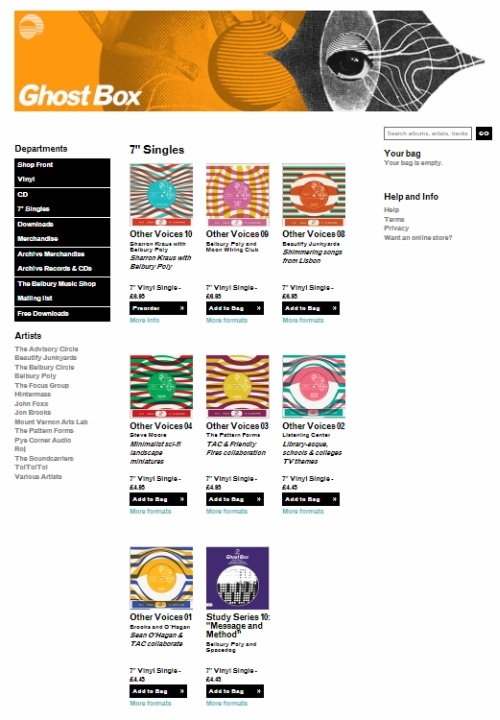 is due for release on 25th May on LP, CD and DL. 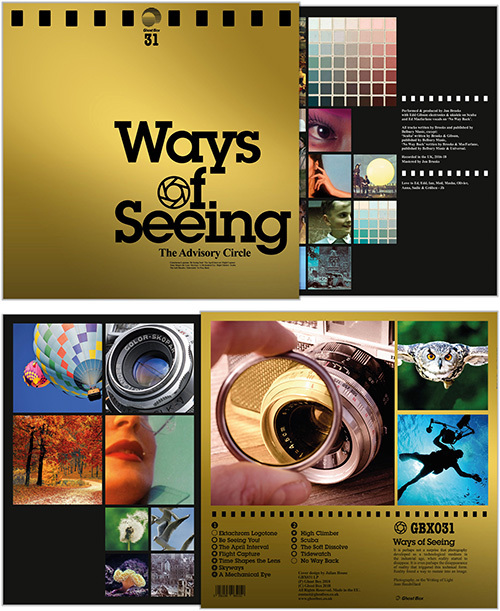 Luxurious artwork throughout by Julian House, with CD digipack and album sleeve printed on metallic gold foil. 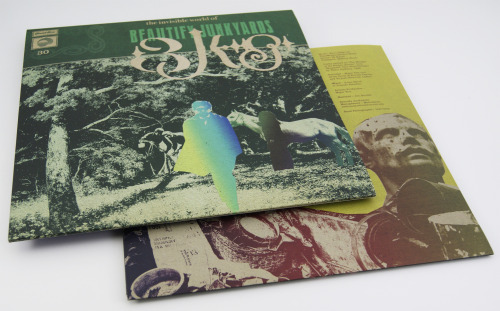 The heavyweight vinyl LP version comes with free download code card. 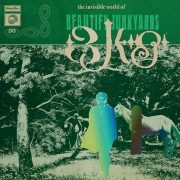 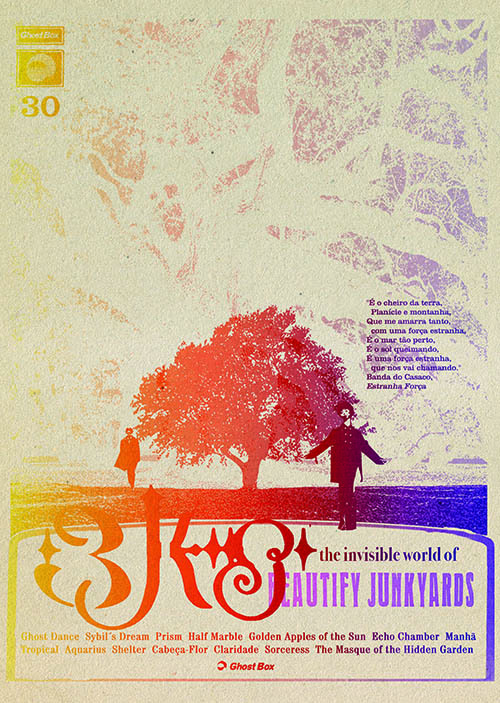 The Invisible World of Beautify Junkyards is available now on CD, LP & download. 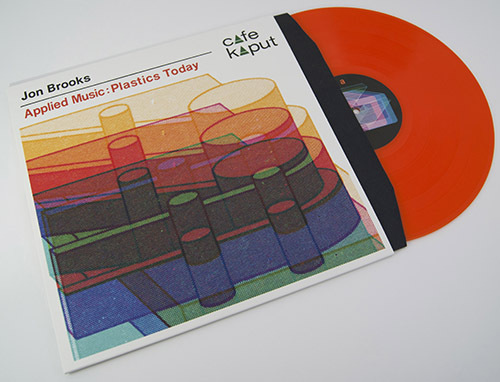 (LP comes with free download code).